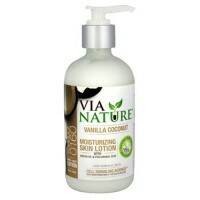 Skin feeling silky soft and moisturized all day long. 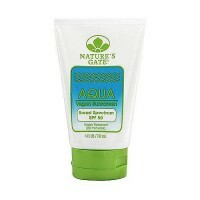 Natures gate pomegranate lotion is infused with an array of nourishing and hard-working antioxidant botanicals. Combined with our blend of 7 skin conditioning moisturizers, this formula helps defend skin from the damaging effects of the environment. 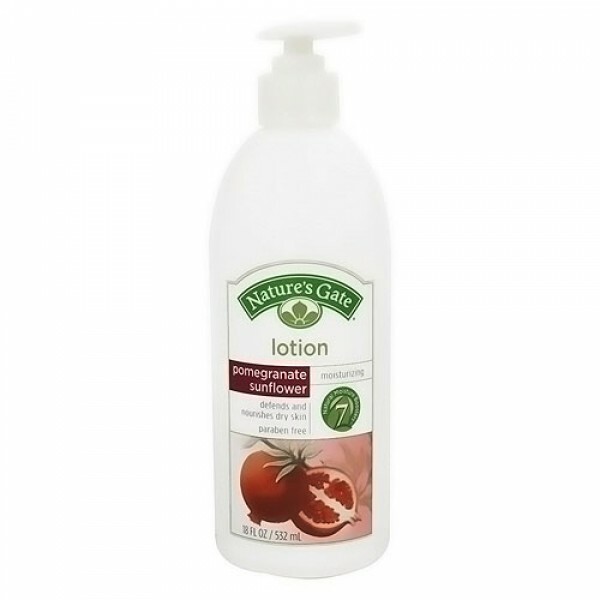 This non greasy lotion absorbs quickly to leave skin feeling silky soft and moisturized all day long. Pomegranate, sunflower and red tea are rich sources of antioxidants. Aloe, calendula and marshmallow soothe. Sodium hyaluronate binds moisture to skin and helps reduce moisture loss. 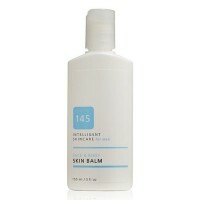 Shea butter, apricot Kernel oil and soybean oil help relieve parched, dry skin. Water, Carthamus Tinctorius (Safflower) Seed Oil, Glycerin (Vegetable Derived), Caprylic/Capric Triglyceride (Vegetable Derived), Cetearyl Alcohol (Vegetable Derived), Helianthus Annuus (Sunflower) Seed Oil, Cetearyl Glucoside (Vegetable Derived), Glyceryl Stearate SE (Vegetable Derived), Dimethicone, Sesamum Indicum (Sesame) Seed Oil, Sorbitan Stearate, Xanthan Gum, Punica Granatum (Pomegranate) Fruit Extract, Helianthus Annuus (Sunflower) Extract, Butyrospermum Parkii (Shea) Butter, Prunus Amygdalus Dulcis (Sweet Almond) Oil, Prunus Armeniaca (Apricot) Kernel Oil, Glycine Soja (Soybean) Oil, Sodium Hyaluronate, Tocopherol (Vitamin E), Simmondsia Chinensis (Jojoba) Seed Extract, Aloe Barbadensis Leaf Juice, Viola Tricolor (Pansy) Extract, Althaea Officinalis (Marshmallow) Root Extract, Calendula Officinalis Flower Extract, Salvia Officinalis (Sage) Leaf Extract, Silybum Marianum (Milk Thistle) Extract, Vitis Vinifera (Grape) Seed Extract, Aspalathus Linearis (Red Tea) leaf Extract, Avena Sativa (Oat) Kernel Extract, Equisetum Arvense (Horsetail) Leaf Extract, Panthenol, Ascorbyl Palmitate (Vitamin C), Allantoin, Cetyl Alcohol (Vegetable Derived), Maltodextrin, Potassium Sorbate, Glyceryl Undecylenate (Vegetable Derived), Citric Acid (Vegetable Derived), Phenoxyethanol, Fragrance. Phthalate free. Reapply to dry, rough, chapped areas.